Amy Mizrahi is a Manchester based artist with a background in both fine art and illustration, as well as social science. Within her work, she touches on themes such as health and identity, her artwork aims to explore the complex human emotions experienced by herself and others. 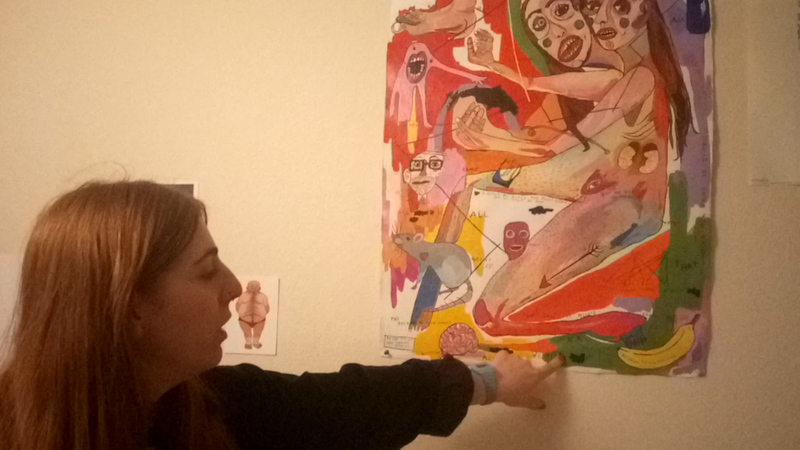 With an upcoming exhibit due at Manchester’s SLOE gallery this month, NQ met up with Amy, so she could tell us a little bit more about herself and her artwork.